The Department of Adult and Pediatric Otolaryngology at the University Hospital of Ludwig Maximilian University of Munich offers the full range of services in this field. Thanks to the outstanding specialists who have deep knowledge of their specialization and state-of-the-art medical equipment, the department is one of the leading medical institutions of this kind in Germany. The department has 102 beds and two large ambulatories. 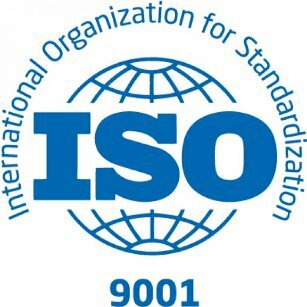 All the diagnostic and therapeutic measures comply with current national and international standards. The department is headed by Prof. Dr. med. Martin Canis. After studying human medicine at the Ruprecht Karl University of Heidelberg and clinical practice at the University of Vienna, Baylor College of Medicine in Houston and the University of St. Gallen, Prof. Dr. med. Martin Canis became an Intern and Research Fellow at the Ludwig Maximilian University of Munich in 2004. Since 2010, he was appointed the Acting Chief Physician in the Department of Adult and Pediatric Otolaryngology. In 2009, Prof. Canis received the title of a Medical Specialist, which as followed by additional qualifications in Allergology, Healthcare Quality Management, Plastic and Aesthetic Surgery. In 2011, Prof. Canis received an offer to hold the position of W2 Professor at the University of Munich, from which he refused. 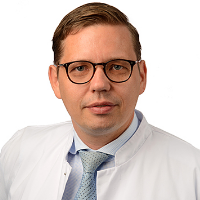 In the same year, he moved to the University of Göttingen, where he held the position of the Head of the Section of Oncology, Reconstructive Surgery and Allergology, and since 2014 he was appointed as the Acting Head of the Department of Otolaryngology. Then he received three offers to hold positions in the departments of the Universities of Göttingen, Regensburg and Munich. In 2016, Dr. Canis accepted the offer to hold the position of the Head of the Department of Adult and Pediatric Otolaryngology at the University Hospital of Ludwig Maximilian University of Munich. Prof. Canis is the author of more than 100 works, many of which are published in the respected and influential international professional journals, which testifies about his outstanding scientific knowledge. In addition, Prof. Dr. med. Martin Canis holds many awards and prizes. In particular, he was awarded Johannes Zange Prize for the publications of the North-German Society of Otorhinolaryngology, Head and Neck Surgery, as well as Meyer-zum-Gottesberg Prize for Audiology Research at the German Society for Audiology. In 2013, Prof. Canis received a Scholarship from the German Society of Otolaryngology, Head and Neck Surgery, thanks to which he gained an invaluable experience at the Center for Skull Base Surgery at the Loyola University in Chicago (USA). Here the doctor had a unique training in Highly Specialized Surgical and Microsurgical Interventions.